Compared to families from their host country, families from immigrant backgrounds who have a child with autism spectrum disorder (ASD) tend to experience greater difficulties in accessing, using, and complying with intervention services for their child. This disparity may be partially accounted for by cultural differences in how families perceive the causes and symptoms of ASD as well as their treatment priorities. The present study sought to document these perceptions in immigrant families living in a Canadian city. Forty-five parents from Latin America, Africa, Western and Eastern Europe, the Caribbean, East Asia, and the Middle East participated in a semi-structured interview. 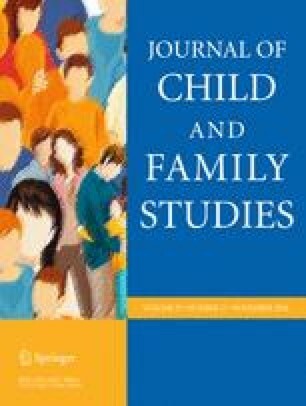 These data were examined qualitatively through thematic analysis to first document all parents’ perceptions, then to contrast mothers’ and fathers’ responses, and finally to examine common themes as a function of country of origin. The most frequently mentioned causes of ASD were environmental factors such as vaccines and diet. Moreover, some participants did not know the cause of their child’s ASD. The majority of parents cited the absence of speech as one of the first symptoms noted in their child. Priorities for intervention varied: mothers tended to prioritize speech therapy, whereas fathers favored support in school. Taken as a whole, these findings highlight the need to implement informational programs for these families. The online version of this article ( https://doi.org/10.1007/s10826-018-1180-7) contains supplementary material, which is available to authorized users. M.M. : participated in the design and executed the study, analysed the data, and wrote the paper. M.R. : participated in the design and writing of the study, participated in the interpretation of findings, collaborated in the writing of the paper. C.M. : participated in the interpretation of findings, collaborated in the writing, translation, and editing of the final manuscript. This work was supported by grants by the National Consortium for Research on Social Integration (CNRIS), and by the Service to Communities of the UQAM (Financial Assistance for Research and Creation Program). All procedures performed in studies involving human participants were in accordance with the ethical standards of two institutional research committees (the Université du Québec à Montréal and the Joint Research Ethics Board for Public Rehabilitation Centers for Persons with Intellectual Disabilities and ASD in Québec) and with the 1964 Helsinki declaration and its later amendments or comparable ethical standards. Families Special Interest Research Group of IASSIDD. (2014). Families supporting a child withintellectual or developmental disabilities: The current state of knowledge. Journal of Applied Research inIntellectual Disabilities, 27(5), 420–430. https://doi.org/10.1111/jar.12078. Statistics Canada (2017). 2016 Census topic: Immigration and ethnocultural diversity. Available at http://www12.statcan.gc.ca/census-recensement/2016/rt-td/imm-eng.cfm.